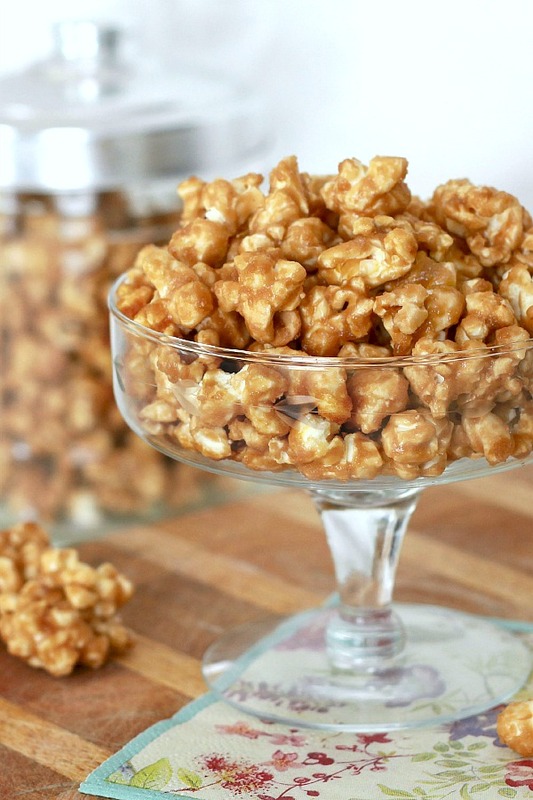 I can’t get enough old-fashioned Caramel Corn! I’m kind of addicted to this sweet treat! I confess. I have a love affair with this stuff. It is sweet, crunchy, buttery and addictive! It is my go-to snack when I am having a strong craving for something sweet. There is something so satisfying about that sugary crunch. Caramel corn, also called caramel popcorn, is a confection made of popcorn coated with a sugar syrupy that has been cooked to an amber color. 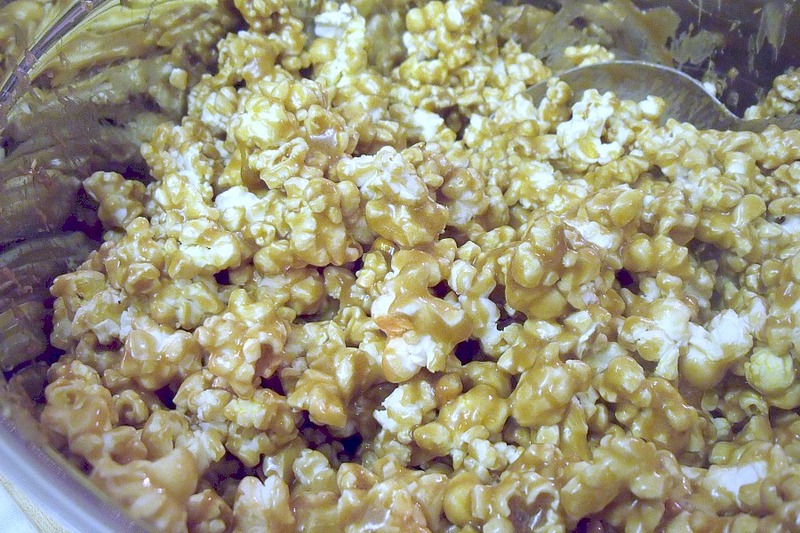 The syrup is poured on the popped popcorn and tossed to coat. After baking the concoction, it is cooled and broken into pieces. The combination of caramel and corn dates back at least as far as the 1890’s. At the 1893 Chicago World’s Fair, Cracker Jack was introduced. Two German brothers, Frederick and Louis Rueckheim immigrated to the United States and settled in Chicago where they opened a popcorn store in the 1870s. They experimented with different flavors and toppings. Their new concoction, a mix of popcorn, peanuts, and molasses, quickly became a hit. After someone who sampled the product exclaimed “That’s a crackerjack!”, which at the time meant “of great quality”. The name stuck and in 1896 the brothers registered Cracker Jack ® and began mass producing the snack. I saw some great recipes on the internet. They are all very similar and mainly just change the quantity of popcorn. 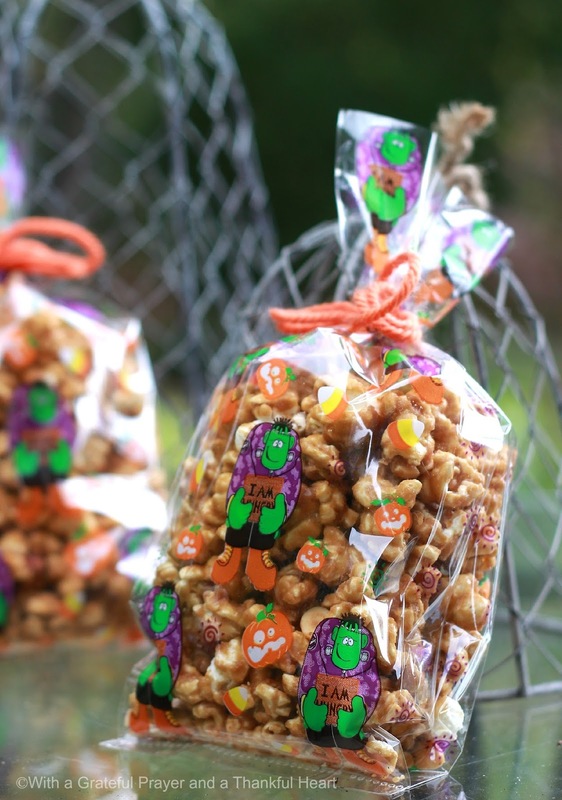 Package in Halloween theme treat bags for your special Trick-or-treat visitors. 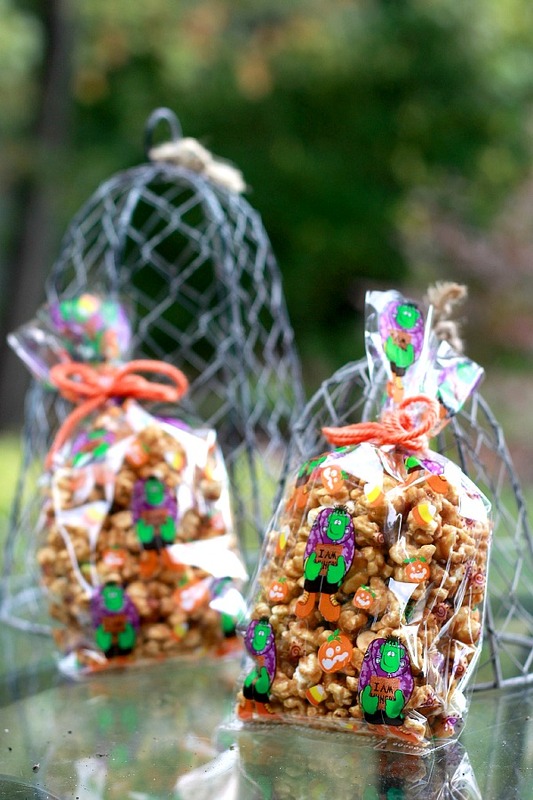 Make as birthday party favors and hostess gifts too. Place the popped popcorn into a large roasting pan, My pan has a non-stick finish but if yours doesn’t, you might want to spray or grease it. Add the peanuts to the popped corn if using. Place in preheated oven to keep warm. 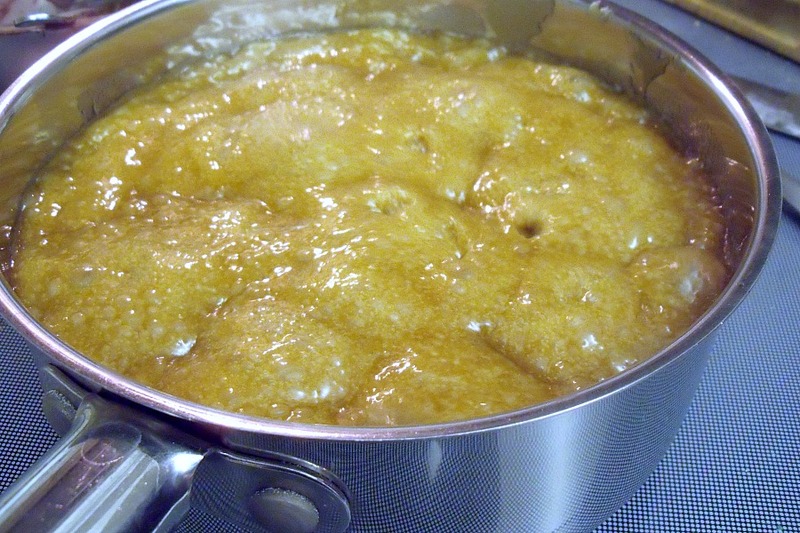 In a saucepan, combine the brown sugar, butter, syrup and salt; bring to a boil over medium heat, stirring enough to blend. Boil for 5 minutes while stirring frequently. Remove from the heat, and stir in the baking soda. The mixture will be light and foamy. Immediately pour over the popcorn in the pans, and stir to coat. Bake for 1 hour, stirring every 15 minutes. Allow to cool completely, breaking any large clumps. Store in airtight containers or resealable bags. 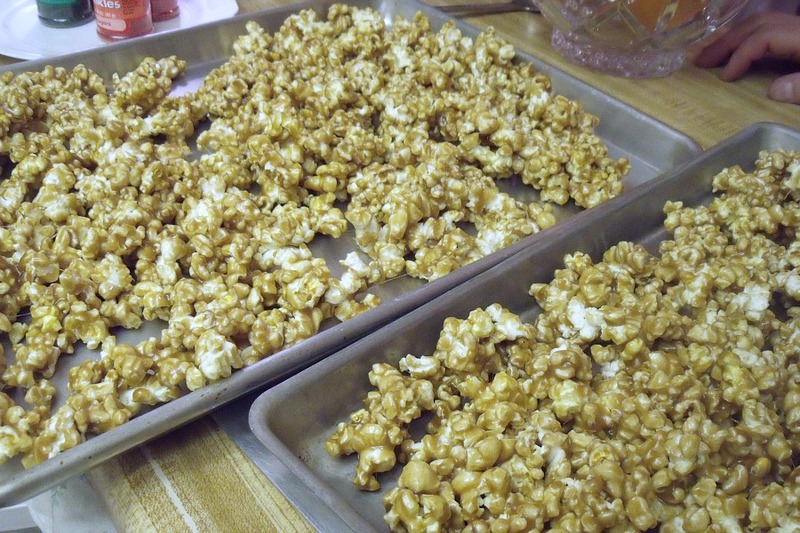 There is nothing like REAL homemade caramel corn, is there? 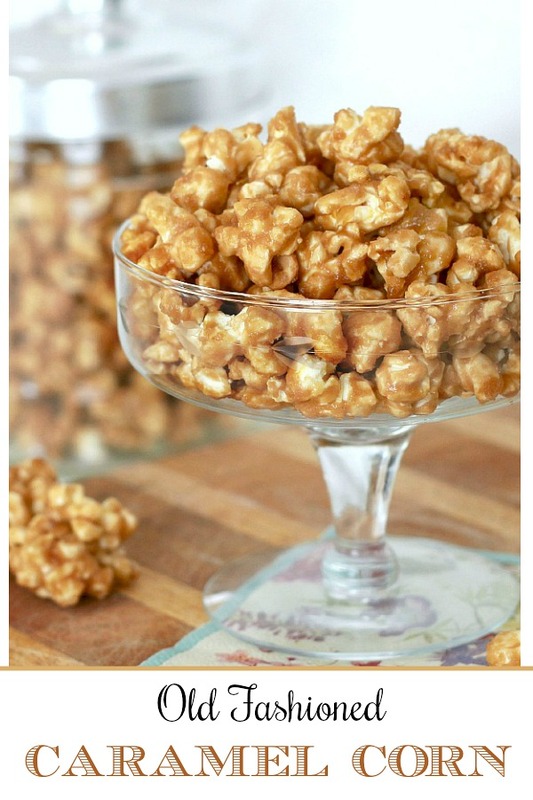 I have a microwave recipe that we have used for years and it is so good that purchased caramel corn falls far short in comparison. It’s one of my favourite treats, but I have never made it myself. Roger Chocolates makes one with cashews instead of peanuts. It is a guiltu pleasure! ola ! meu nome e Luciana e moro no brazil, gostaria de saber se voce tem uma receita daquelas pipocas mexicanas que sao encontradas nas feiras livres ai nos Estados Unidos? Anything that begins with " old fashioned" has to be good. It looks great Lorraine, homemade is always best. 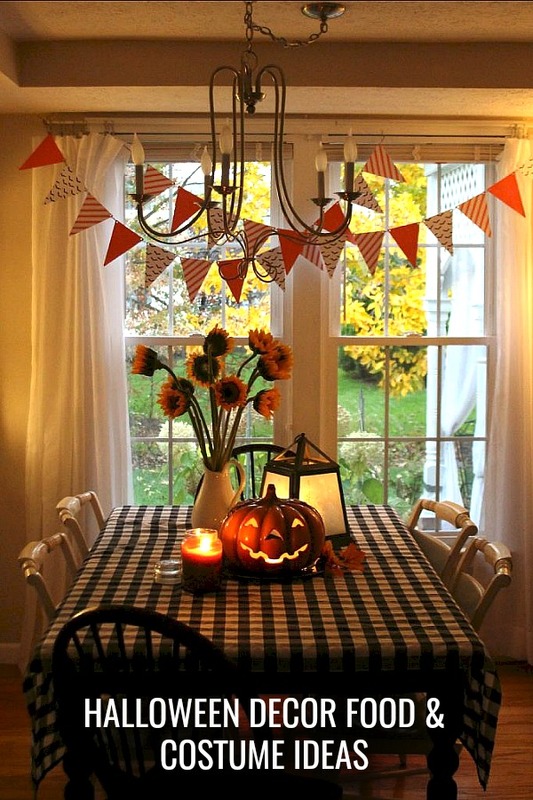 Oh , I would love to be a trick-or-treater at your house! Yummy! As soon as our homegrown popcorn is dried and ready to pop, I'll have to make this for a treat. Yum. WOW looks so yummy…I must try these..didnt know we could make the caramel variety at home!! Oh yum! looks soo good! Looks so good I can almost taste it! Thanks for the recipe! And speaking of recipes, I made your apple dip last week…SO YUMMY!! Oh YUM! I love caramel corn. And it loves me and sticks around way too long. It's hard to be moderate with caramel corn. Guess what I wish I had sitting in front of me, with my morning coffee? You do that to me, in that you share all your amazingly good looking recipes, and I just have to sit and look at the pictures of them, and dream. Thanks my friend for this recipe. I know I will use it. By the way, thanks to your last post, I found myself humming "This World Is Not My Home" the last few days. Thanks for that too.